Bibimbap – I started the year updating the bibimbap post with new photos. 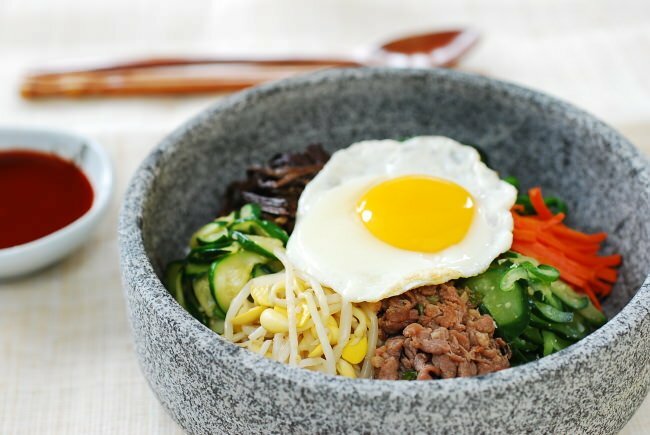 This bibimbap recipe is the most popular recipe on my blog! 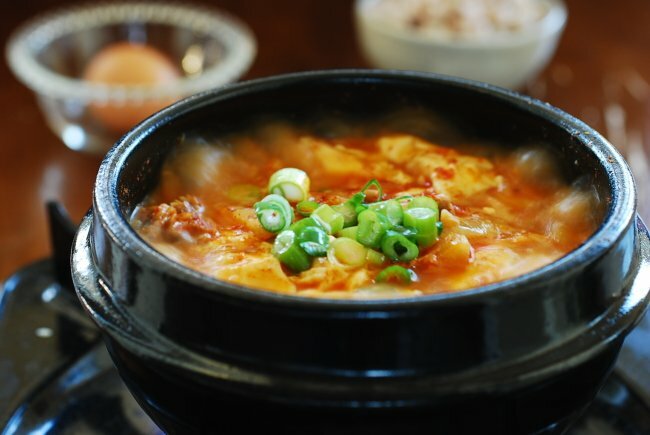 Kimchi soondubu jjigae (순두부 찌개) – It’s a stew made with uncurdled tofu, soondubu (also spelled sundubu) and kimchi. My vegetarian version of soondubu jjigae was featured on Theguardian.com in March 2015 as part of their 10 best tofu recipes! 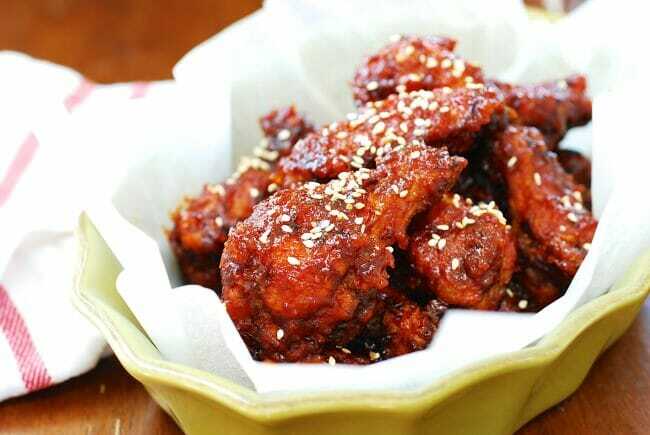 Yangnyeom chicken – Korean fried chicken wings smothered in a sticky, spicy red sauce. What more is there to say? 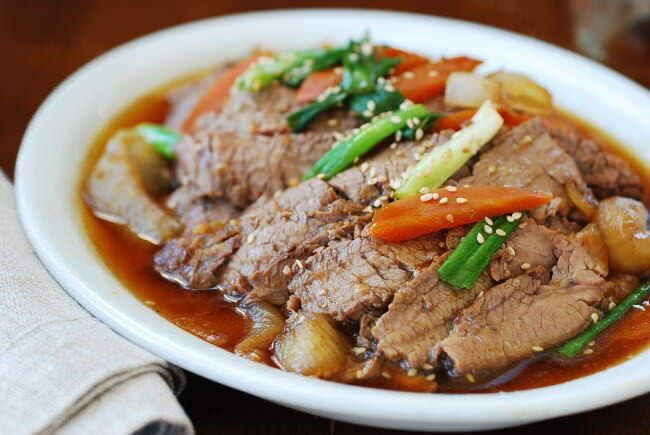 Slow cooker bulgogi – Yes, you can make bulgogi in the slow cooker! 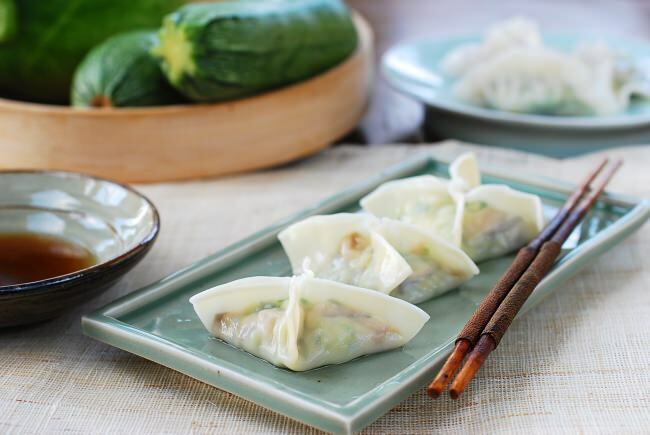 This recipe was featured as the top ten slow cooker recipes of 2015 by Slow Cooker From Scratch – a blog authored by Kalyn at Kalyn’s Kitchen. 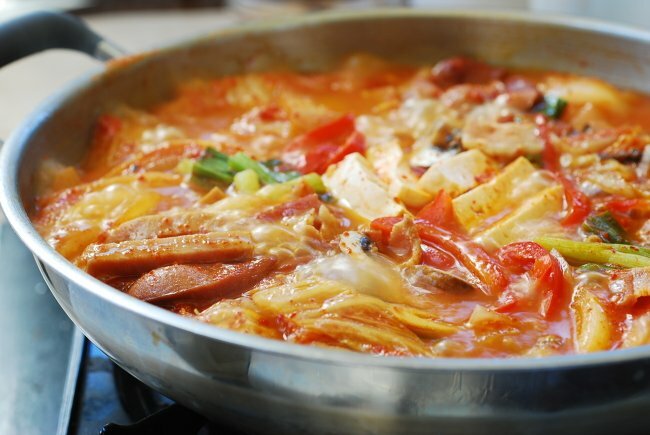 Budae jjigae (부대찌개) – Popular fusion jjigae (stew) made with kimchi and American processed meats such as Spam, bacon, and hot dogs. 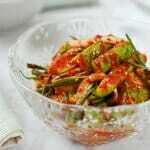 It’s so popular that Anthony Bourdain featured this dish in his Parts Unknown Korea episode. 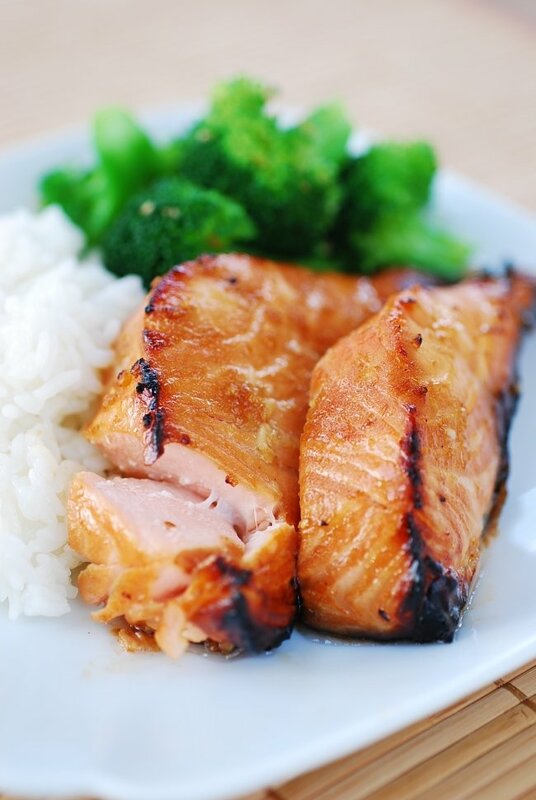 Salmon bulgogi – easy to make and simply delicious! 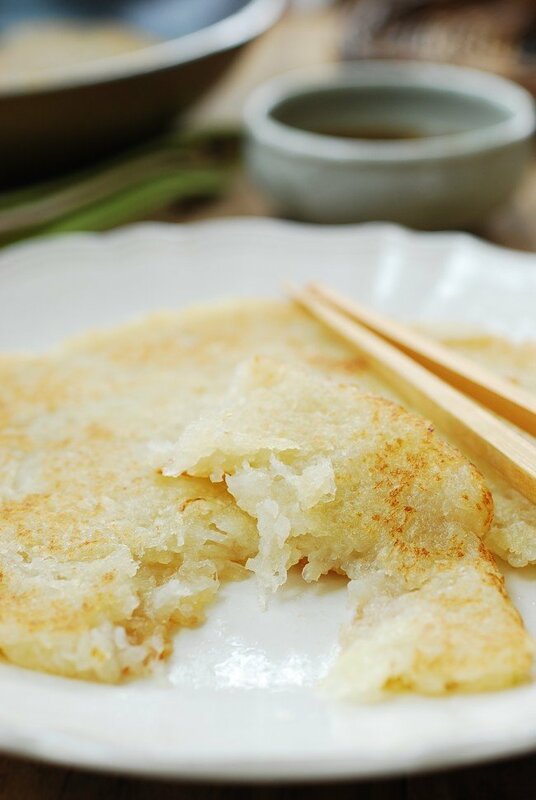 Gamjajeon (감자전) is a Korean savory pancake made with grated or ground potatoes. Quick and easy to whip up as an appetizer! 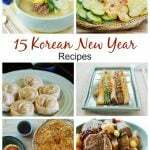 One of my favorite Korean savory pancakes! 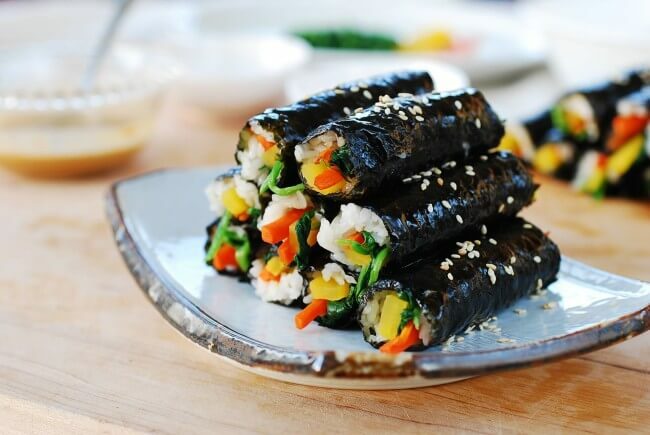 Mini gimbap – This child-size gimbap also known as mayak gimbap (마약김밥). Mayak means narcotic drugs. It’s that addictive! In April 2015, I was interviewed by The Korea Times (한국일보) Washington DC edition about my blog. 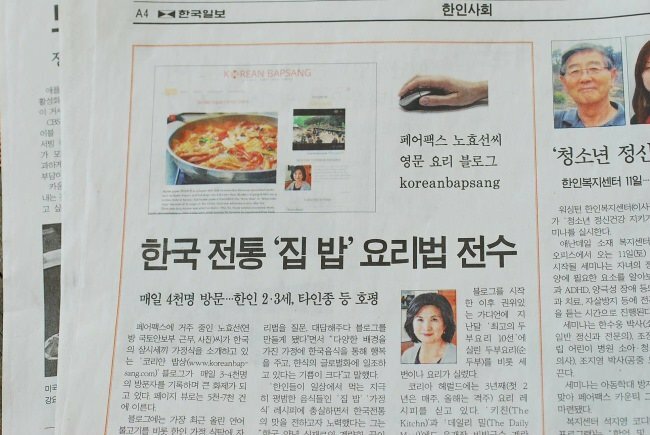 The article highlighted how my blog is spreading Korean home cooked recipes around the world. My first cable TV appearance and YouTube debut in June 2015! I was so nervous but the host and crew at WKTV Korean Cable Network did an awesome job to pull it together. 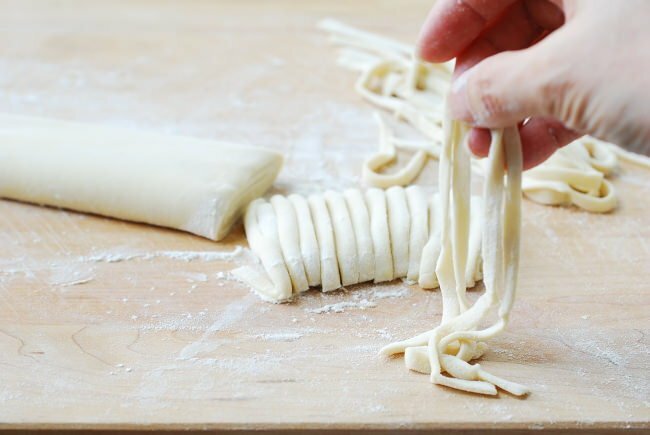 Dak Kalguksu (Chicken noodle soup) – In this recipe, I also showed you how to make handmade noodles. It’s not that hard to make and the reward is big! KCON 2015 in Los Angeles, California! 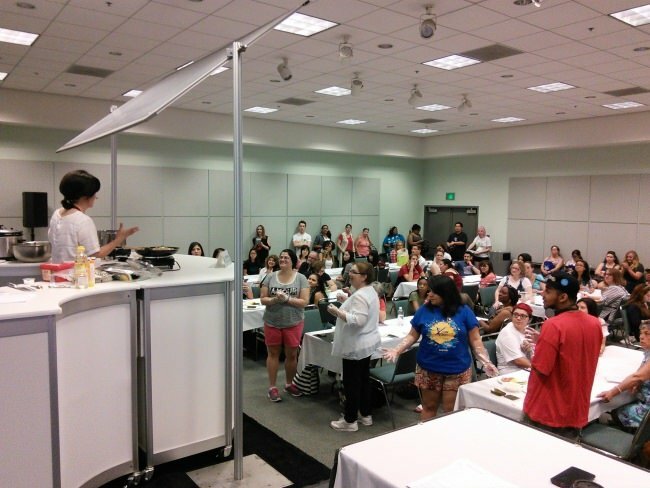 I held two cooking workshops on tasty Korean street food — tteokbokki and mini gimbap. The audience was totally awesome, and I had an amazing time! The Try Guys and me! 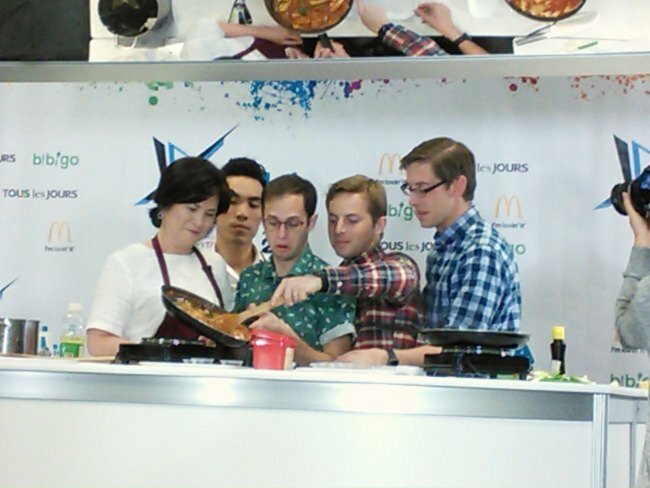 Filmed a video with these guys teaching them how to make tteokbokki and mini gimbap. What an adventure! Watch the video below if you haven’t. You’ll enjoy it. I had so much fun being the Try mom for a day! 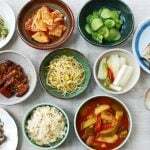 Made some Korean temple dishes – hobak mandu and tofu gimbap and interviewed with a Korean TV network, BTN – Buddhist Television Network, which was filming a documentary about Korean temple cuisine in different parts of America. 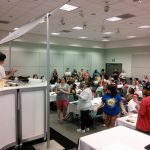 Through this, I learned so much about Korean temple cuisine and became a big fan of it! 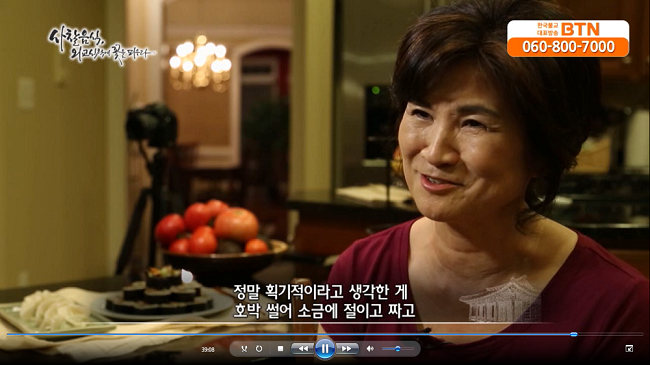 Appearing in the BTN Special program on Korean Temple dishes, 사찰음식 외교 식탁에 꽃을 피우다 (37 min into Part 2), which was aired in November 2015. 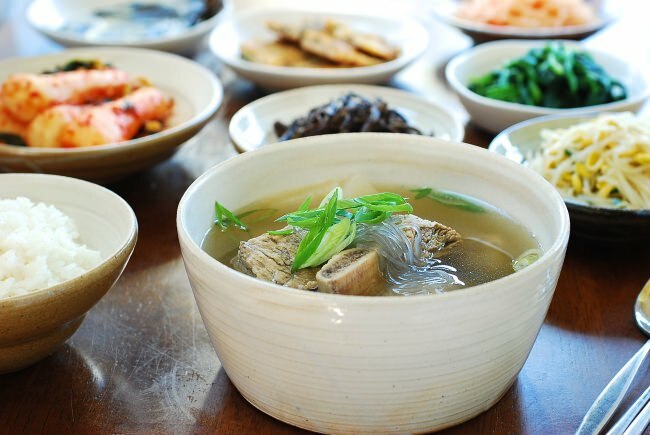 The last recipe of 2015 – Galbitang (beef short rib soup)! 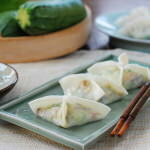 I look forward to sharing many more delicious recipes with you in the new year. What a wonderful year you had. This is my first time commenting but I visit your blog quite often. 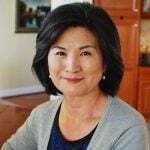 My mother is Korean too, but she lives so far I come to visit your blog to recreate my favorite Korean dishes. I hope 2016 is another amazing year! Thank you for all the yummy recipes! Thank you, Shannon! It really was a great year – thanks to the readers like you! I am so happy to hear I can be helpful in recreating your mom’s dishes. Happy New Year! Thank your for all amazing recipes of yours. *just right after this, I’d spend my holiday “Youtubing” you! Thank you! Yes I have an Instagram account. 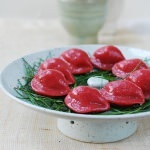 I’ll put a button on the blog, but in the mean time search for Korean Bapsang in Instagram. Hope you enjoyed the video. Thank you so much for your readership! Happy New Year! Sounds like you had a really great year. I don’t know much about Korean cooking but all your food looks so good. Thanks for the shout-out for Slow Cooker from Scratch! Thank you, Kalyn! 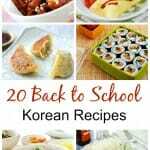 I love your blog and really appreciate your spreading Korean foods on your blog. Hope you have another amazing, fun filled year! I used your kalguksu recipe to make noodles tonight. So good! I will be making these often. Great! I’m very happy to hear that. Thanks for coming by!